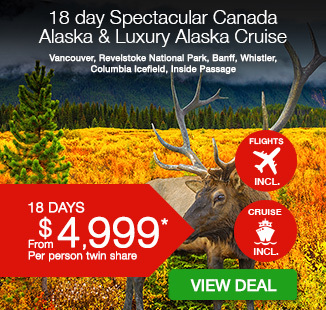 18 day Spectacular Canada Alaska & Luxury Alaska Cruise including return international flights, accommodation, Inside Passage cruise, professional tour guides, sightseeing and more. Amazing trip for an amazing price! 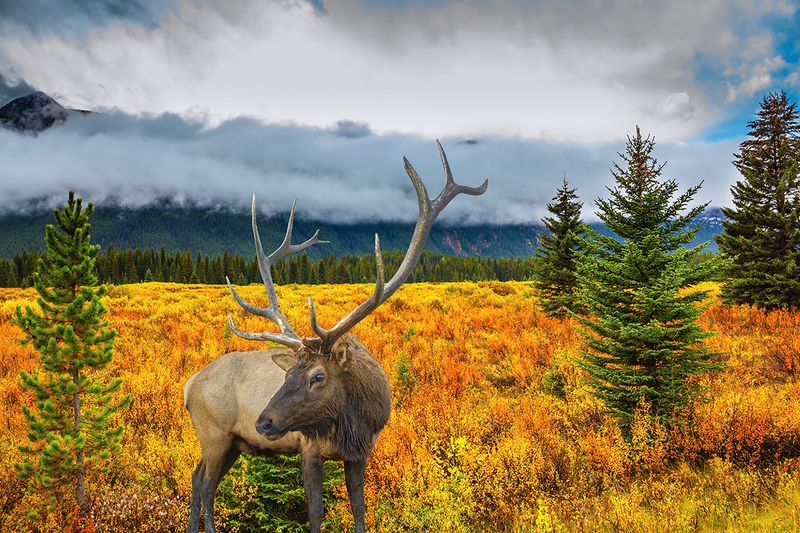 Fresh mountain air, exquisite backdrops and abundant wildlife are just a few of the things you’ll love most about your visit to Canada & Alaska. Our must-see destinations of 2018 will not disappoint – see for yourself with an 18 day Spectacular Canada Alaska and luxury Alaska cruise. 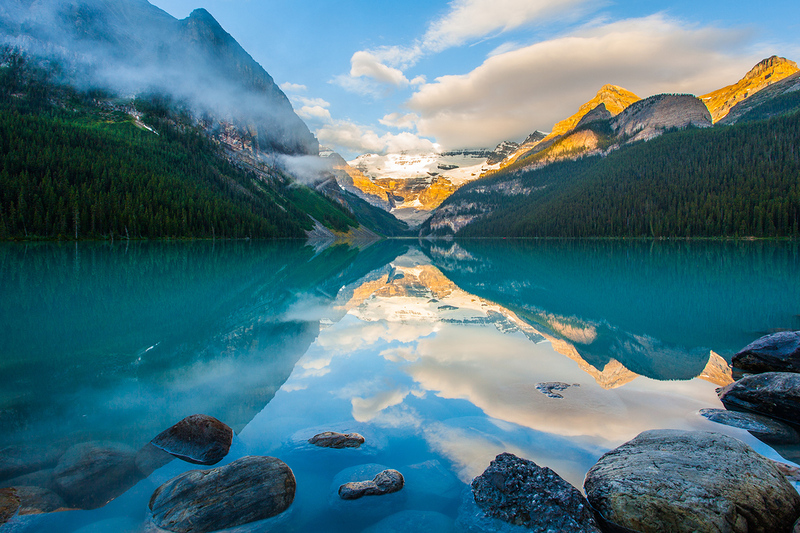 Discover the mighty national parks of Revelstoke, Yoho and Glacier, see the crystal blue waters of stunning Lake Louise and stroll around the charming town of Whistler (voted one of the top destinations in North America!). Board your luxury cruise ship in Vancouver and spend 8 magical days cruising the Inside Passage past Icy Straight Point and the Hubbard Glacier, visiting the ports of Juneau and Ketchikan, spotting incredible wildlife like orcas and salmon and so much more. Your package includes return international flights, accommodation, Inside Passage cruise with all meals, professional tour guides, sightseeing and more. Today, depart Australia to begin your Canada & Alaska holiday! On arrival after clearing customs and immigration formalities make your own way to your hotel. The hotel provides a 24/7 airport shuttle. You can request the hotel shuttle with the direct dial phones located on arrivals Level 2 of both the International and Domestic Terminal. On arrival at your hotel the rest of the day is at leisure. Tonight, your Webjet tour guide will welcome you to Canada. 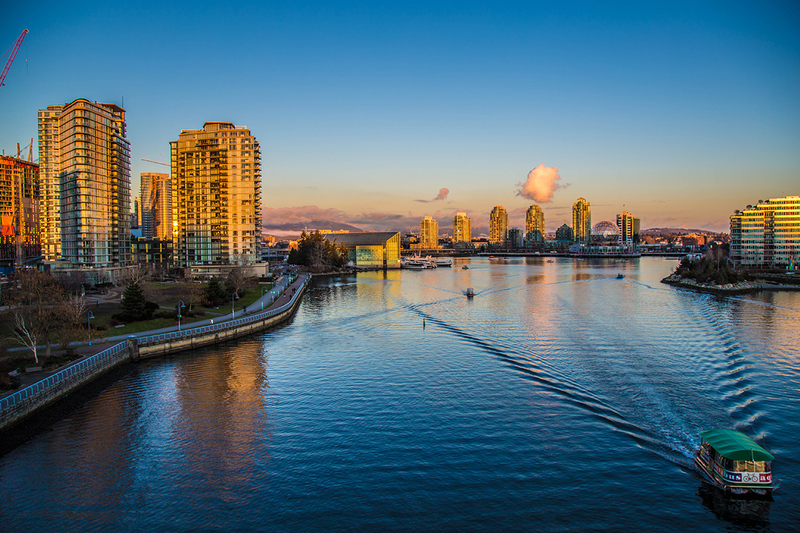 Today is a full day to either relax or explore Vancouver at your own pace! This morning after breakfast, we leave Vancouver behind us and make our way across British Columbia towards the town of Hope. Enroute, we visit the famous Othello Tunnels. 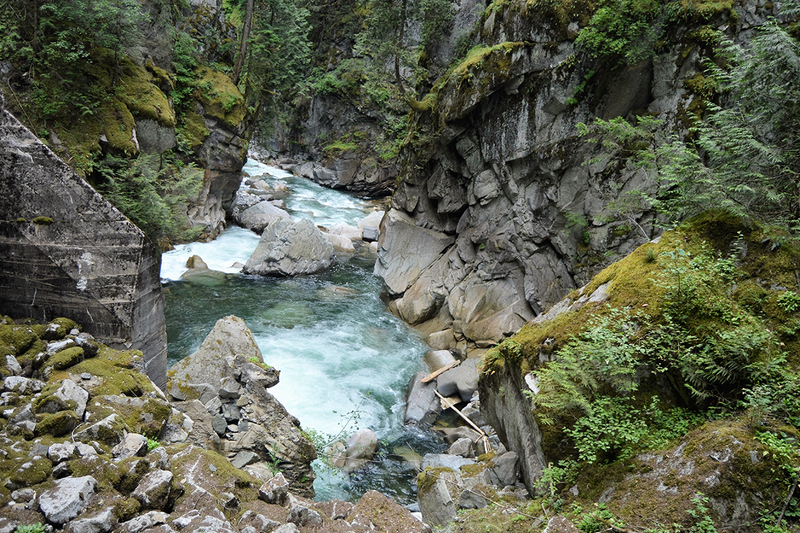 The Othello Tunnels are a series of old train tunnels and bridges that cut through the solid granite walls and pass over the wild Coquihalla River. They are located just east of the town of Hope, BC, in the Coquihalla Provincial Park. The Coast Mountain Range proved quite a challenge to build a railway through and walking over the bridges in the Othello Tunnels area, it becomes quite evident how difficult it must have been. The sheer rock cliffs, the violently rushing water below, and the remoteness makes it seem incredible that any infrastructure could be built in such an environment, let alone over 100-years ago with limited engineering equipment. We then continue into the wine region of the Okanagan valley. 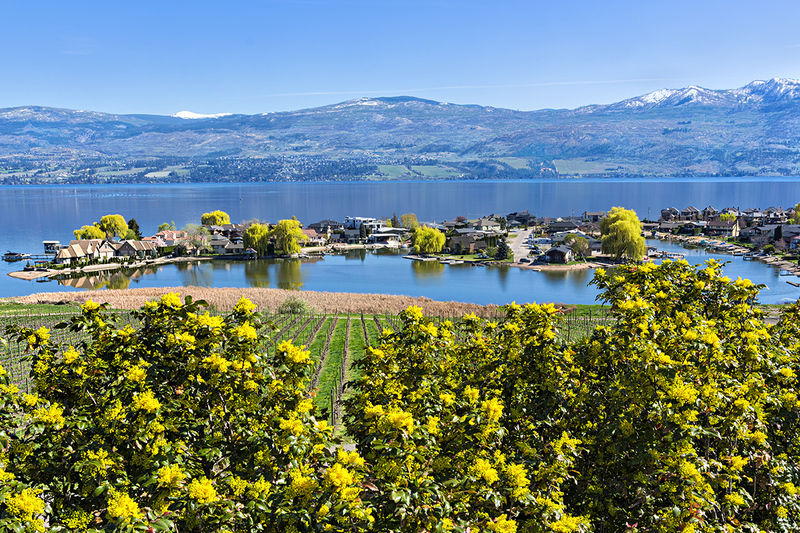 “The Okanagan”, also known as the Okanagan Valley and sometimes as the Okanagan Country, is a region located in British Columbia, defined by the basin of Okanagan Lake and the Canadian portion of the Okanagan River. It is part of the Okanagan Country, extending into the United States as Okanogan Country. The region’s main hub is Kelowna, our resting place for tonight. After breakfast, we embark on another day of sightseeing through the Trans-Canadian Highway taking us through some of Canada’s awe-inspiring National Parks. Our first park visit is to the mighty Revelstoke. 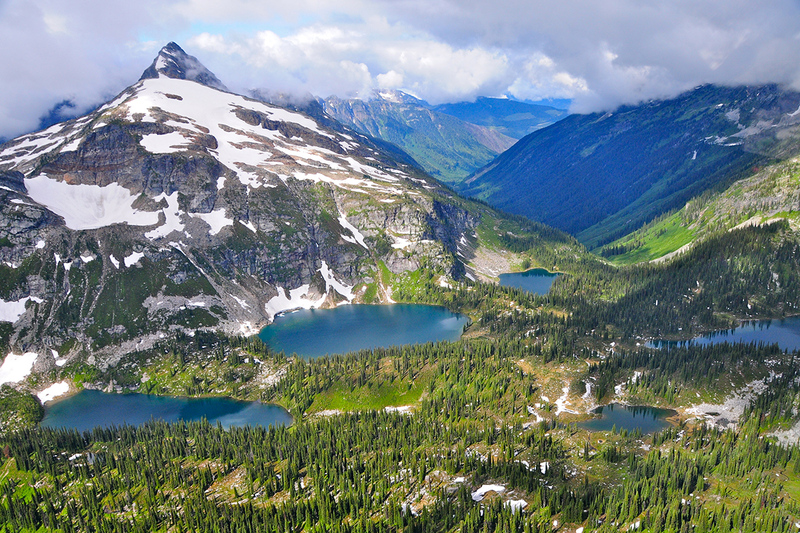 Home to Canada’s only inland cedarhemlock rainforest, Mount Revelstoke is the only national park in Canada where you can summit a mountain five minutes from your vehicle. The Giant Cedars boardwalks invite us for a relaxing stroll, or we can enjoy a panoramic view & the meadows of subalpine wildflowers from the summit of Mount Revelstoke. There is truly not a bad view to be had over this scenic stretch of the Trans-Canadian Highway, and following further West from Revelstoke National Park, we pass through Yoho National Park. Cree exclamation of awe, “Yoho” applies perfectly to this park’s big peaks, expansive glaciers, and impressive waterfalls. Add Yoho’s famous fossils and it’s easy to see why this park in the Canadian Rockies is part of a UNESCO World Heritage site. Although many of its highlights are accessible by road, Yoho is also a hiker’s dream and a railway buff’s delight. Tonight, we overnight in the small mountain town of Golden. After breakfast, we start by heading north on the “Icefields Parkway”, an exciting excursion atop the Athabasca Glacier. 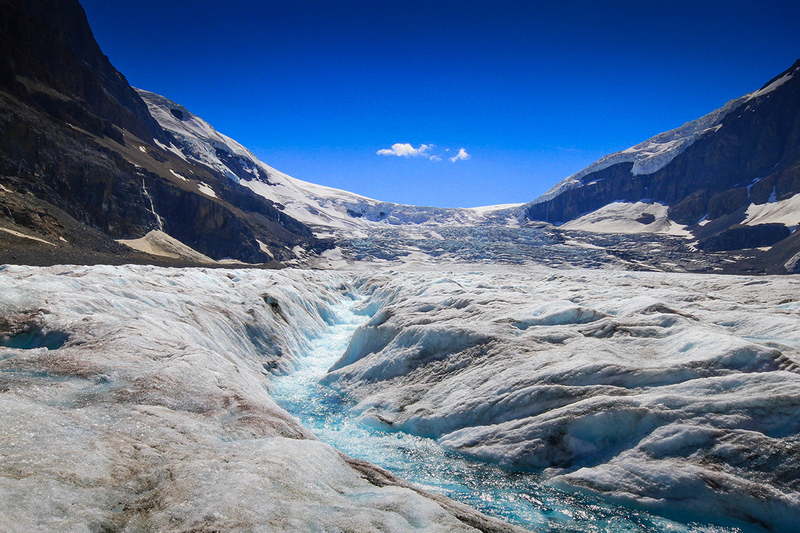 To travel the Icefields Parkway is to experience one of Canada’s national treasures. Stretching 232km (144mi.) 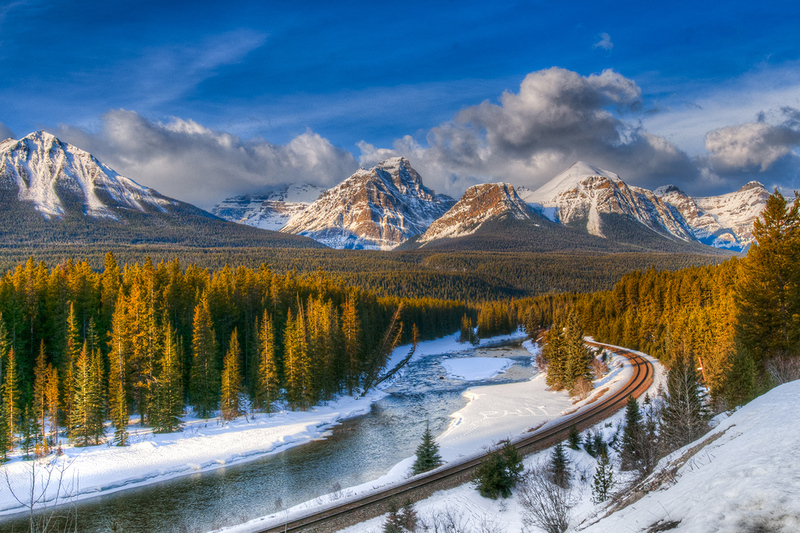 through the heart of the Canadian Rocky Mountain Parks World Heritage Site, this world-class journey offers access to a vast wilderness of pristine mountain lakes, ancient glaciers and broad sweeping valleys. Our destination on this parkway, is the “Columbia Icefield”, the largest icefield in the Rocky Mountains of North America. Optional Tour: This tour takes visitors onto the surface of the Athabasca Glacier by Ice Explorer; a massive vehicle specially designed for glacial travel. An experienced driver-guide shares a wealth of fascinating information about glaciers, icefields and their impact on our environment during this one hour and 20 minute journey—Must be booked prior to departure. We leave the Columbia Icefield Discovery Centre shortly after lunch, and head back South over the parkway towards Lake Louise, about a 2-hour drive. Lake Louise is often referred to as the ‘Diamond in the Wilderness’, and it is easy to see why. In the afternoon, we leave Lake Louise behind us and head for our final destination, Canmore. The rest of the evening is at leisure. Today is a free day to relax and explore this incredible alpine region. 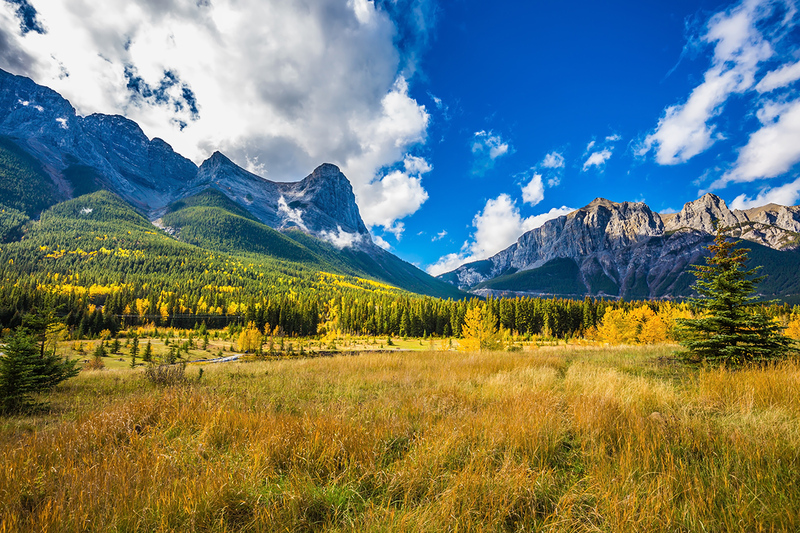 Banff is only a short distance away from Canmore with regular shuttles operating every 30 minutes or why not journey out on one of Canmore’s famed walking trails ranging from short strolls to longer hikes through the Alpine scenery. Today, we leave the Rocky Mountains behind us and make our way to the town of Kamloops. However, not before visiting our 3rd National Park, Glacier. Glacier National Park, not be confused with its twin in Montana, USA, offers us exceptional alpine scenery and deep valleys filled with ancient forests. It’s a year-round paradise for nature lovers. We then continue our drive on the Trans-Canadian Highway towards the town of Kamloops. Located at the confluence of the South and North Thompson rivers in BC’s semi -arid grasslands, Kamloops is true Canadian heart land at it’s best. After breakfast, we check-out of our hotel bright and early today, as an exciting journey back into British Columbia takes us to Whistler! 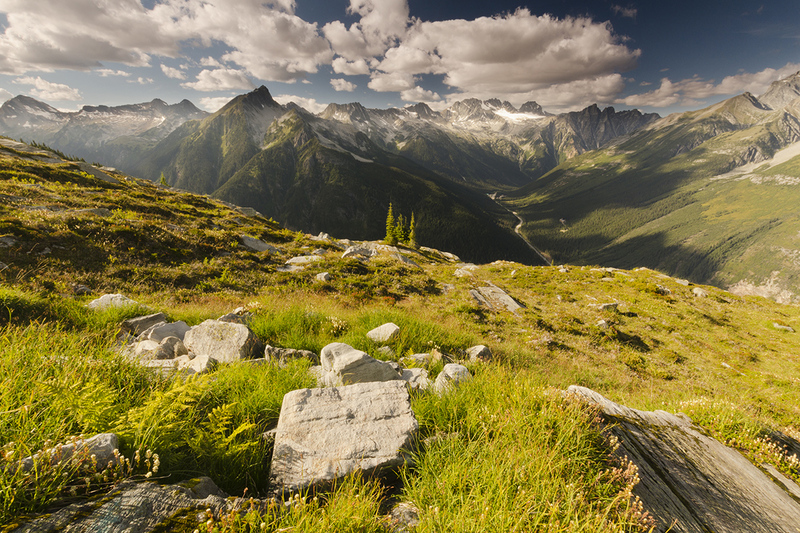 After arriving in Whistler, you will enjoy some time off to eat or stroll around this picturesque mountain town. Whistler is only about 2 hours North of Vancouver, and roughly about 4 hours West of Kamloops. 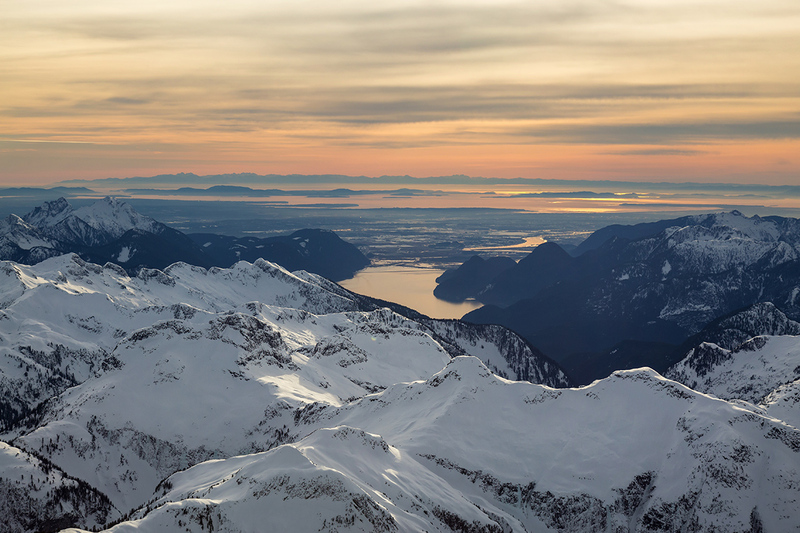 Over two million people visit Whistler annually, primarily for alpine skiing and snowboarding and, in Summer, mostly mountain biking. Its pedestrian village centre has won numerous design awards and Whistler has been voted among the top destinations in North America by major ski magazines since the mid-1990s. After lunch, we leave Whistler behind and continue straight onwards towards Vancouver. Along Highway 99, between Horseshoe Bay & Squamish, has to be one of the most beautiful roads in the area. With the ocean glimmering on the left and the mountains rising on the right, it is truly enchanting. Today, your private motor coach will transport you from the hotel to the Vancouver cruise port to join your luxury 5 star Celebrity Cruise of the inside passage. After settling into your cabin, kick back and begin to enjoy everything your world class ship has to offer. 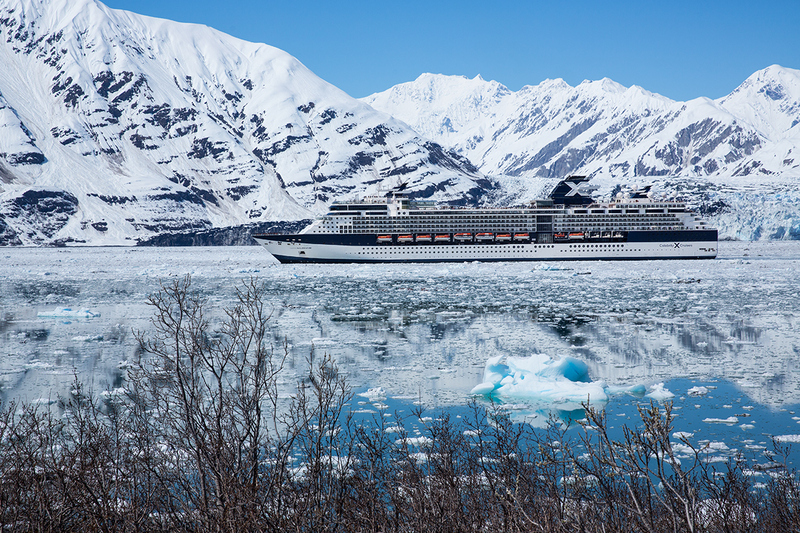 Today, enjoy everything your ship has to offer as you sail between the Inside Passage. 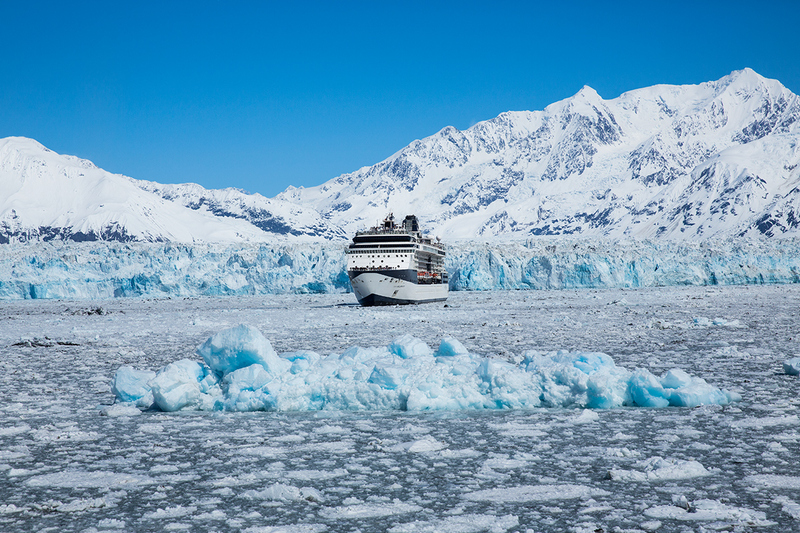 Today you’ll sail beyond the Inside Passage into the more protected Alaska Inside Passage. Home to diverse wildlife—orca, mountain goats, bald eagles, bears, puffins, sea otters and more—the complex labyrinth of fjords and bays are where whales and sea lions find refuge during the summer months. 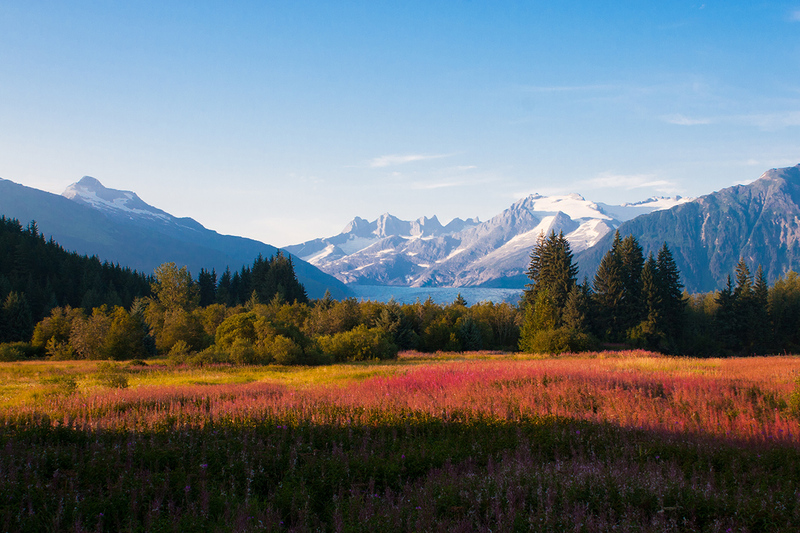 For thousands of years, the Tlingit Indians have called this place home. Located near the city of Hoonah, and home to a historic cannery, Icy Strait Point also offers travelers the chance to view wildlife like humpback whales, orcas, seals, eagles, and brown bears, or to explore monuments to the region’s fishing heritage. 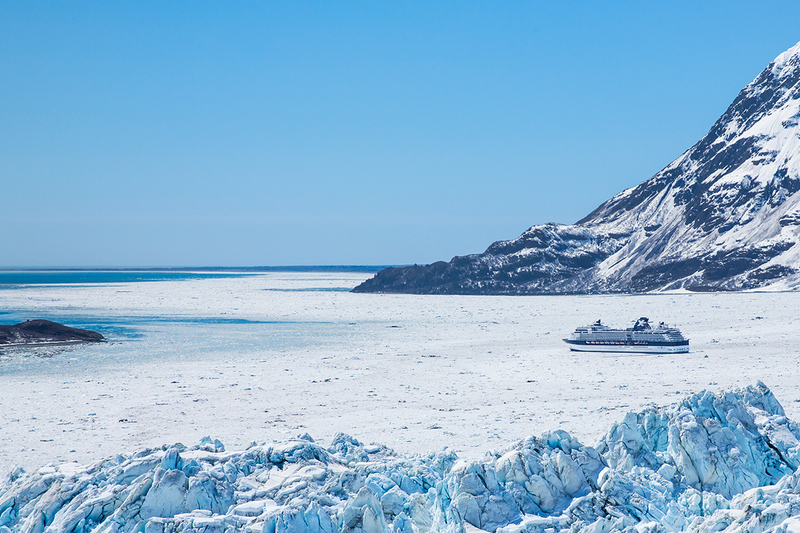 Today you are in for a treat, spectacular views of the Hubbard Glacier. Hubbard Glacier is the largest calving glacier on the North American continent. The glacier routinely calves off icebergs as high as 10-story buildings, sending massive blocks of ice into the sea every few minutes. Today we are ported in Juneau. Here’s your chance to take a glacial dogsled adventure via helicopter in Alaska’s capital (optional). A city that gracefully balances frontier ruggedness with cosmopolitan flair. Mendenhall Glacier, a river of ice measuring 1.5 miles in width and over 6 miles in length, is part of Juneau’s Icefield, 1500 square miles of ice that feeds 38 glaciers and ready for you to take a float trip on it. You’ve never tasted salmon so fresh. Known as the ‘Salmon Capital of the World’, Ketchikan is also the ancestral home of the Tlingit people, who have carved the world’s largest collection of totem poles. If you’re up for an adventure, take a canoe and nature trail excursion through the rain forest or a wilderness exploration followed by a sumptuous crab feast you can’t resist (optional). Today, enjoy your luxury ship and the spectacular scenery as your ship makes to way through the narrow channel of the Inside Passage. This morning, disembark from your Luxury cruise ship to start your journey home. Upon disembarkation, make your own way to the airport to board your flight back to Australia. Please purchase the interstate fee after you click ‘Buy Now’ or by clicking here in addition to your 18 Day voucher. We are unable to guarantee which airline you will travel with as flights will be booked subject to promotional fare availability for your travel dates. Children: Same price as adults. Min age 2 years. Interconnecting/adjoining rooms: Can be requested however not guaranteed. Please submit request when filling out your booking form. To book your optional tour please click here. For more information see the itinerary. Stay behind surcharge: If you wish to extend your trip, a $250 per person breakaway charge will apply (subject to availability and applicable fare difference). Please purchase your voucher first and Webjet Exclusives will invoice the additional supplement charge when finalising your booking. If you wish to alter or extend your trip, please purchase your voucher first and submit a request on your booking form. Webjet Exclusives will then provide quotations for any alterations or extensions. Should you wish to proceed any additional charges will be collected. However if you are unhappy with the options a full refund of the voucher will be provided. We had the best time. Everything went according to plan. It was easy to book and organise, I will definitely book again though Webjet Xxclusives and recommend them to anyone considering booking a holiday. A deposit of $199 per person plus any applicable surcharges are due at the time of purchase in order to secure your date. We offer a FREE date change policy allowing you to change your departure date any time up until your 2nd instalment payment is made. 2nd Instalment: $2,000 per person is due at 210 days prior to your travel date. Once this payment is made, no cancellations or amendments are permitted and all prior payments become strictly non-refundable. If you book within 210 days of travel, you will be sent an invoice within 7 days. 3rd Instalment: Final payment is due 120 days prior to your travel date. If you book within 120 days of travel, you will be sent a final invoice within 7 days. Your 18 Day Tour is subject to availability at the time of your booking. We advise you to book early to avoid disappointment.